Thales Alenia Space announced in May 2014 that it has signed a contract with the Korean satellite service operator KT Sat, subsidiary of KT Corporation, to build two telecommunications satellites, Koreasat-5A and Koreasat-7, winning the contract against an international field of competitors. The two satellites will provide Internet access, multimedia, broadcasting and fixed communications services. 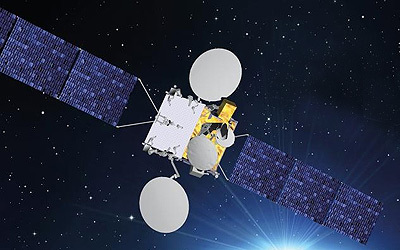 Built on the Upgraded Spacebus-4000B2 platform from Thales Alenia Space, Koreasat-7 will be fitted with Ku-band transponders and Ka-band transponders. Koreasat-7's coverage zone encompasses Korea, the Philippines, Indonesia and India. The satellite will weigh about 3,500 kg at launch and will offer payload power of about 7 kW. Koreasat-7 will be positioned at 116° East.